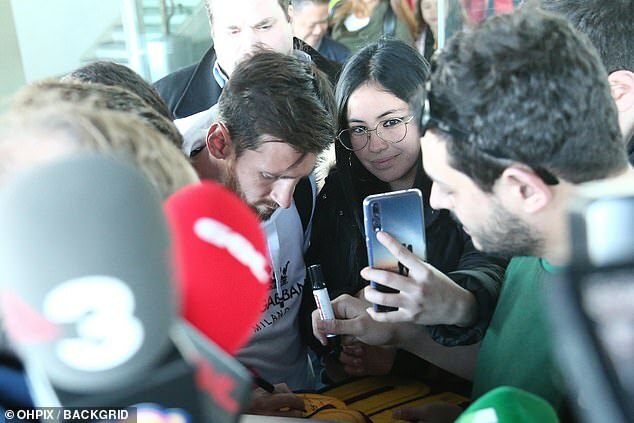 Fans swarmed Lionel Messi and Luis Suarez at Barcelona airport as the pair prepare to face Getafe. La Liga resumes this weekend after the winter break and the duo are back in the city ready for their first match back on Sunday. 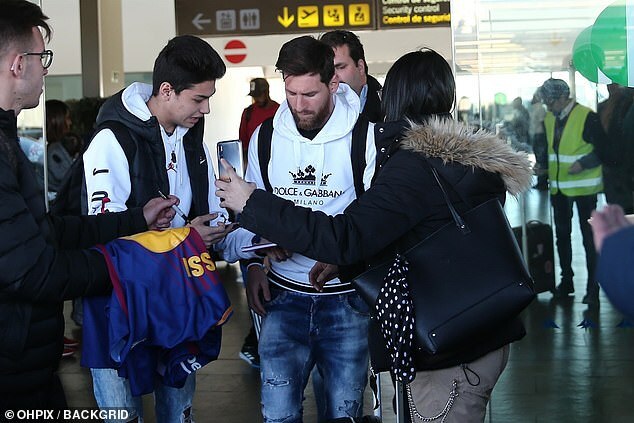 Barcelona supporters spotted the superstars and took the opportunity to ask for autographs and photos. 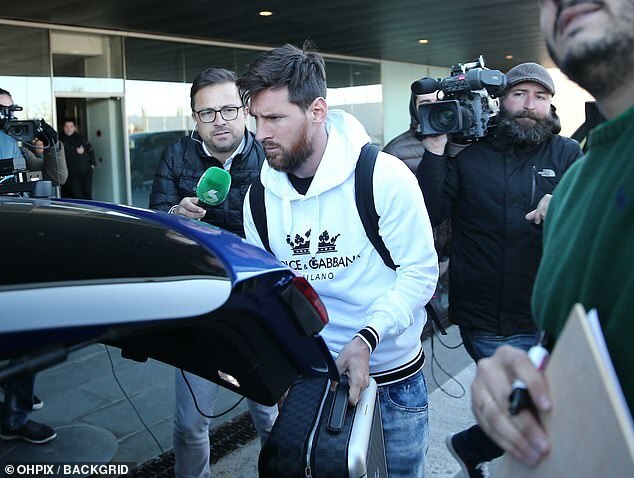 Messi was wearing a Dolce & Gabbana hoodie while Suarez wore a puma jumper. The five-time Balon D’Or winner was dancing with his wife Antonella Roccuzzo in Argentina to celebrate the New Year. He also spent his time off playing Secret Santa with colleague Philippe Coutinho. Now Messi and Suarez are back to work they will be hoping to extend their lead at the top and advance in the Copa Del Rey against Levante.